Lights... Camera... TEACH! 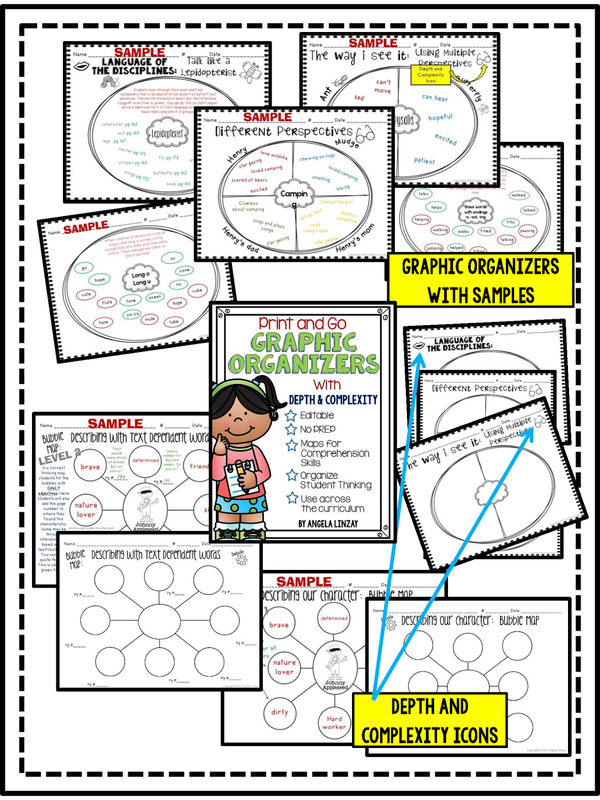 : Graphic Organizers with Depth and Complexity - ALL EDITABLE! 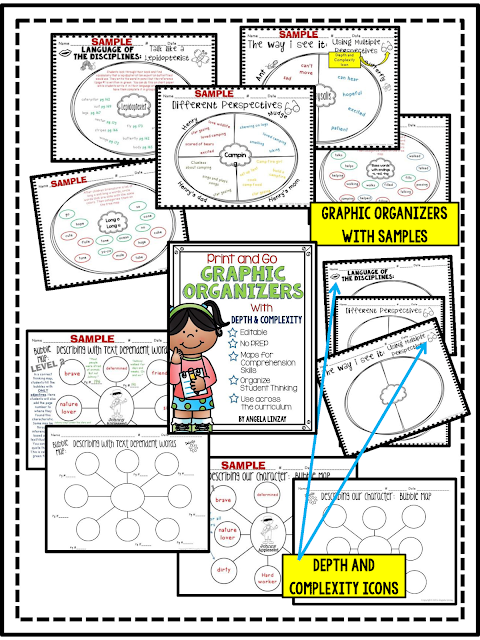 Graphic Organizers with Depth and Complexity - ALL EDITABLE! 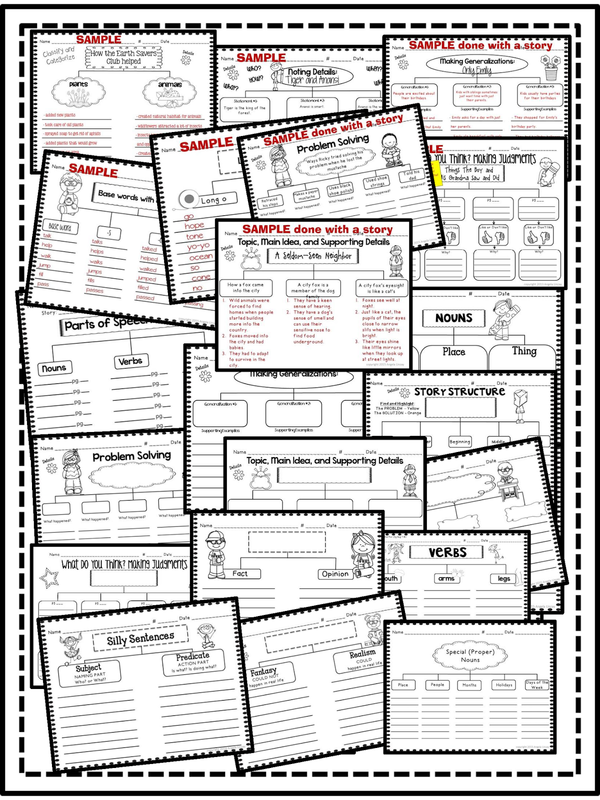 Have you heard about Thinking Maps? A few years ago, my principal sent some of the staff to be trained in using Thinking Maps and I have LOVED using them ever since. If you are unfamiliar with what it is, I can explain.. because I'm your friend and that's what friends do. :) Our brain usually organizes information in 8 different ways. These thinking skills help kids drive their learning and as they move through each grade, it is done with greater complexity. There are 8 different Thinking Maps. 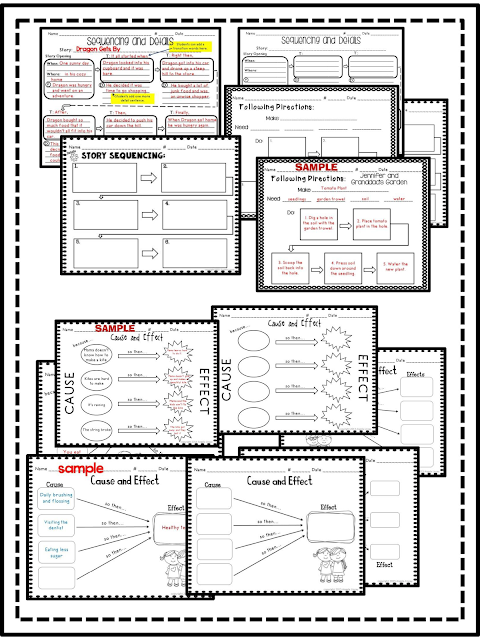 These maps are used to help students organize information in what they are learning. What I love about it is that it is easy and simple in the lower grades and can get more complex in the higher grades. I even find myself using them ALL the time to organize my to do lists, reflect on things that I've read, etc. NOW... just to kick it up a notch, I've added Depth and Complexity icons to some of the maps. I've gone to Sandra Kaplan's (creator of Depth and Complexity) seminars and have learned SO much on teaching not only gifted students, but ALL students. I teach a 1/2 combo this year and was a bit worried about integrating Thinking Maps and Depth and Complexity (D&C) into my class. I didn't know how it was going to look like doing it a 2 different levels. Once I began teaching it, my students caught on and now LOVE using Thinking Maps to organize their learning and D&C to dig a little A LOT deeper. I know that I've had a lot of people (some I know, most I don't) pinning my Thinking Maps on Pinterest. I realized that there are many teachers out there just like me looking for ways to improve their teaching while challenging their students. 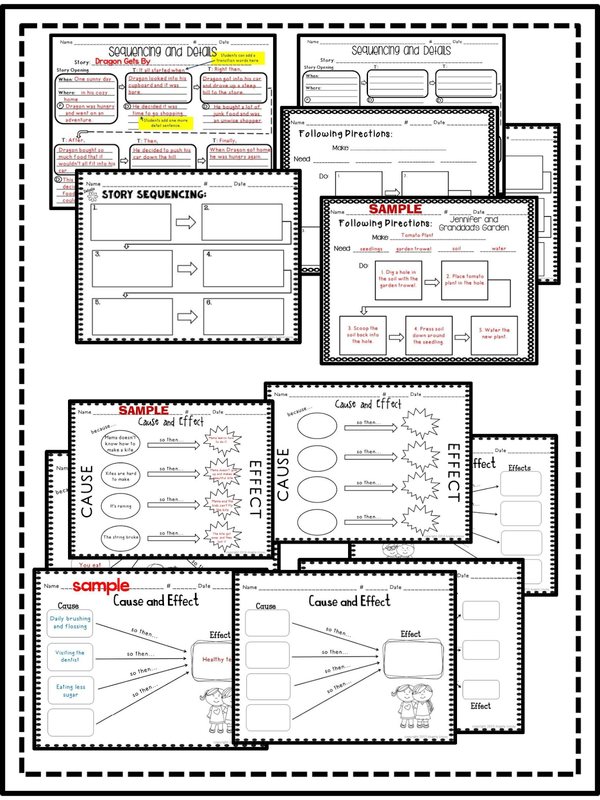 This led me to create my Graphic Organizers with Depth and Complexity unit. 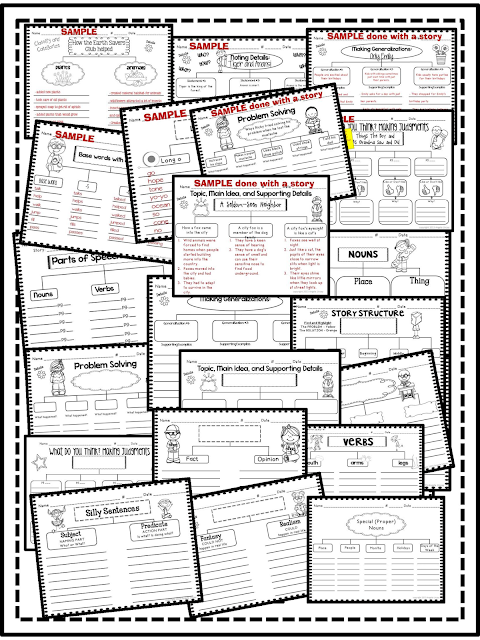 I am SO excited for this resource because I use them in my class ALL.THE.TIME! Here is a sneak peak at this Print and Go unit...because this time of year... I need "easy". I NEED Print and Go! I need an "All In One" resource. I used the Circle Map and combine it with a D&C icon to kick up their learning a notch. Again, SO many uses for these maps. Here I used them for grammar skills. You can even use 2 maps. This is another way that I use them in my classroom. We do this EVERY week. Circle Map to Tree Map. They brainstorm some phonics sound. Here we were doing Long o and Long u. Now we categorize it into a tree map. Soon, kids do their own tree map from the information on their circle map. It's AH-MAZING to see them take ownership of their learning! Did I tell you that each of the 8 maps come with samples so that you know how to use them?? :) I';m a visual learner and sometimes I just need to SEE what it's suppose to look like. Here is the whole resource. Over 100 pages!!! ALL EDITABLE! !